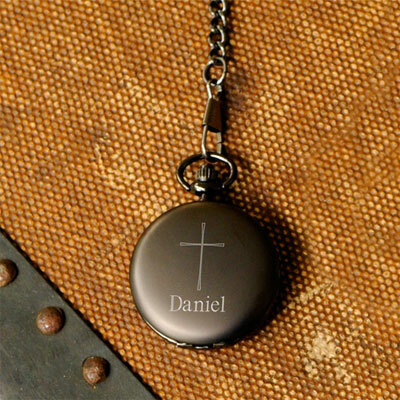 A simple yet stylish engraved cross adorns this Personalized Inspirational Pocket Watch with a unique contemporary design. The watch features Quartz movement, a sturdy chain and a clip to keep it secure. Available in gunmetal, brushed, polished, or midnight finish. 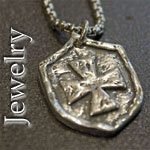 Size: Pocket watch measures 1 1/2" in diameter and include a 14" removable chain. Personalization Options: The Inspirational Pocket Watch can be personalized with one line of up to 10 characters (including spaces) free of charge.